The Canadian Grand Prix has one of the shortest laps on the calendar, meaning fans see more of the action as the drivers fly around the Circuit Gilles Villeneuve once every minute and 14 seconds or so. First held in Montreal in 1978, the race is definitely a fan favourite and this is also a venue where the current world champion has enjoyed great success. In 2019 Lewis Hamilton is hoping to equal Michael Schumacher's record of seven Canadian wins. Away from the track, you'll find one of Canada's most fascinating cities. Under the shadow of Mount Royal, after which the city is named, Montreal is a key hub for commerce and culture in one of the country's most diverse and interesting territories, Quebec. It's an ideal place to experience your first taste of life in Canada. At the city's heart is Mount Royal and its surrounding parks are full of locals taking a break from the bustling city. 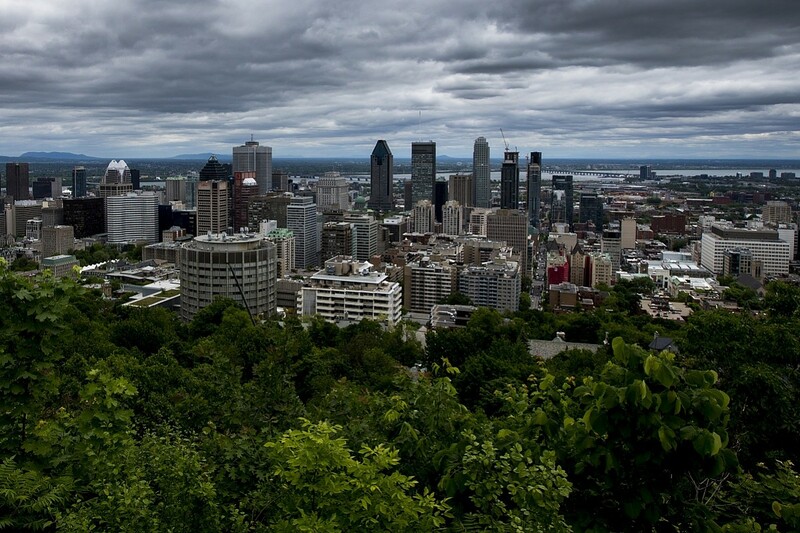 Perfect for a hike or mountain cycle, the 750-foot peak is a favourite for its views over downtown Montreal and various winding routes around the famous 700 acres of green space. If you'd prefer not to walk or ride to the top, there is a visitor centre near the car park, from which you can take a short walk to the Belvedere Camillien-Houde and get a great view of the St Lawrence River and downtown area without the hassle. Head into the centre to start exploring the city's packed streets. First on the list should be Notre-Dame; the 190-year-old basilica is truly one of the most magnificent sights in the city and a great place to start your love affair with the vibrant centre of Quebec's metropolis. From the outside its two towers, on either end of the front facade, stretch 200 feet into the sky while the interior floor, walls and ceiling all shine with a deep blue and gold finish. Visitors are asked to pay six Canadian dollars to enter the building but what you will find inside is worth the money. 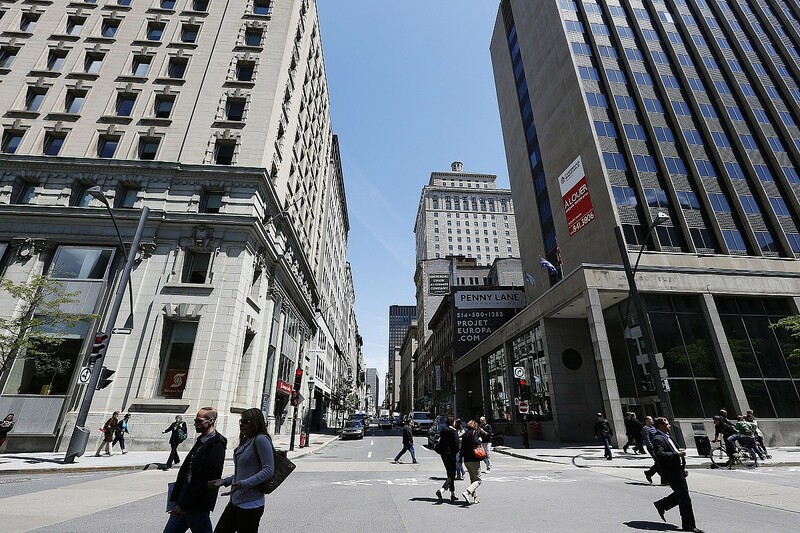 At the very heart of Old Montreal is Rue Saint-Paul. This mile-long strip of cobbled street is the oldest in Montreal and home to a vast array of shops and restaurants. Your stroll along the famed spine from which the city grew is lined with magnificent architecture and punctuated with landmarks such as the Bonsecours Market and Notre-Dame-de-Bon-Secours Chapel. Make sure to head down on a Friday or Saturday night to see the area in full swing. Next up is an ideal stop for sports fans. The Bell Centre is home to the Montreal Canadiens and has seen more than its fair share of great sporting moments. A mid-June visit coincides with the conclusion of the Stanley Cup and there is always a constant stream of concerts and events to enjoy. After a full day of adventure and exploring, if you need to unwind, then head to Montreal's 190-acre public park. Full of various themed gardens, the park is home to all kinds of dazzling flora. Don't forget to find the Lion de la Feuillee, a giant bronze statue gifted to Montreal by sister city Lyon before you head off to watch the racing. It has to be the Turn 10 hairpin towards the end of the lap. It's a prime place for overtaking and you always see some action here. Rue Saint-Paul and the streets alongside it are lined with enough bars and restaurants to last a lifetime. Take a wander along it in the early evening and watch the hours fly by as you go from one location to another. The Mile End Bagel from St Viateur Bagels is a must - they make over 10,000 a day. Smoked meat is also a dish you shouldn't leave Montreal without trying. You'll find it in most local eateries in various guises so tuck in and find your own favourite. There aren't any long transfers so there's little need to prepare any more than you would for any other short trip. What's your top tip for this race and this particular destination? This is one of my very favourite stops on the Formula 1 calendar so enjoy it! I would definitely make the most of your trip and stay as long as possible. There is a reason Montreal is held in such high regard in terms of culture, sport and history - it's brimming with things to do.